Incredibly life-like 2 dimensional Gobbler Fan Decoy creates the perfect tool for calling or 'reaping' set-ups. Its light weight and stalking handle makes it easy to hold in one hand and while securing your gun in the other. 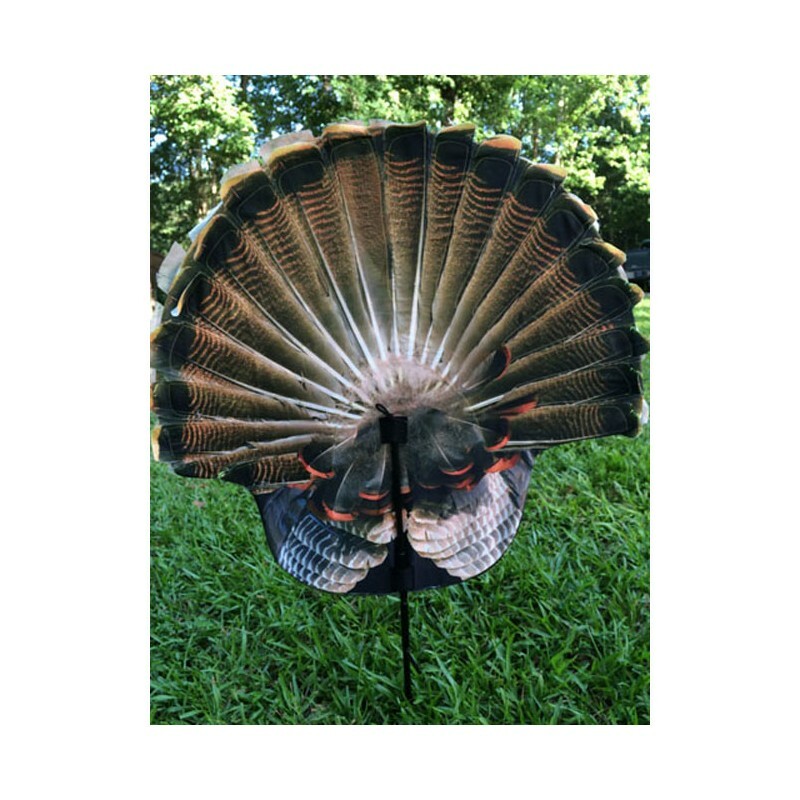 For the run-and-gun turkey hunter, your chances just got a little bit better. 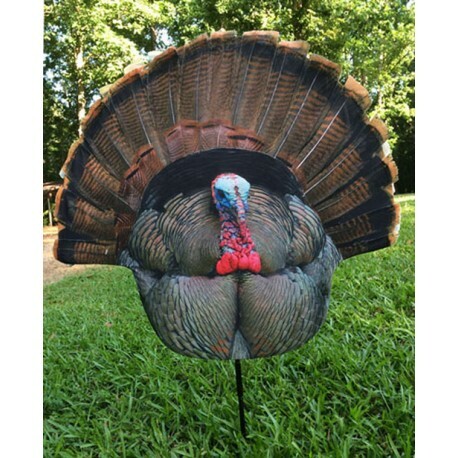 The life-like size and photographic realism creates an appearance that’s sure to rile up any gobbler that sees it. 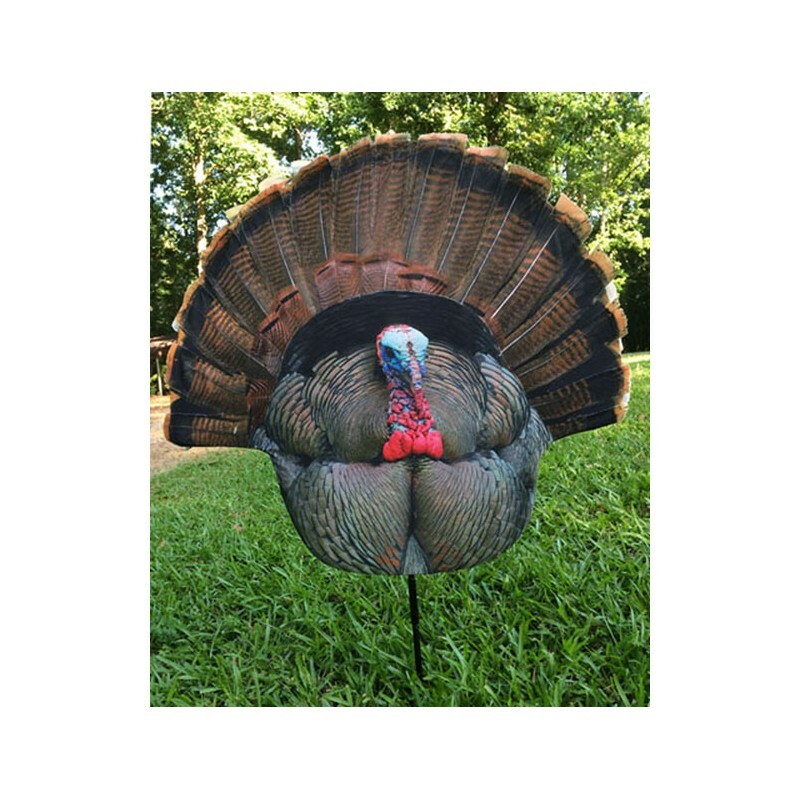 With the attached stake, push it into the ground within seconds for a quick setup or use it to stalk a hung-up bird while peering through the mesh window. creates the perfect tool for calling or 'reaping' set-ups.